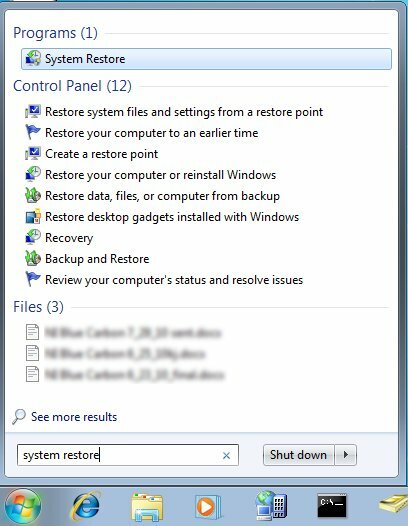 System Restore is a great tool that can help you when you first notice something wrong with your system. I have used it numerous times in the past to remove viruses/spyware . You can give it a try if you are running out of ideas on how to fix your sick computer. 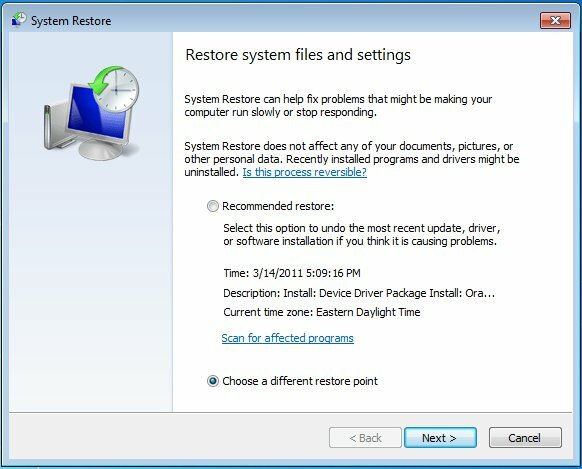 System Restore rolls back the changes made since the restore point. It rolls back programs, drivers, and registry. It does not alter the documents and data. As a precaution, you are still advised to backup your machine before you try it out. (optional) If you cannot perform System Restore because of the virus/spyware, you can try to boot to safe mode first before you do System Restore. Please follow this post about booting to Safe Mode. Click on the Windows logo and type system restore in the search box. 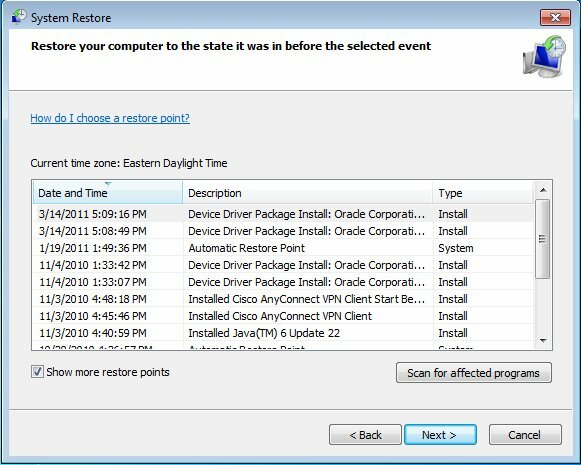 Click on System Restore under Programs to invoke System Restore. Click on Choose a different restore point and click on Next to continue. Check Show more restore points to see all the available restore points. 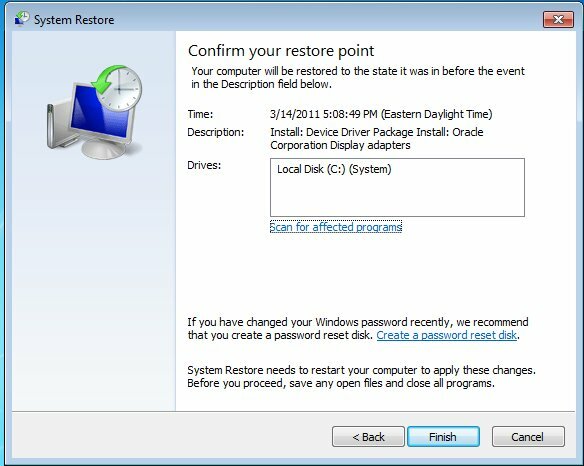 Select a restore point before you noticed any problems for your computer and click on Next to continue. In the next screen, click on Finish to confirm your selection. Click on Yes for final confirmation. System Restore begins and it should be done in a couple of minutes. It might take longer for slower machines. Do not interrupt the process. The system will reboot once. When it’s done successfully, you’ll see this dialog. If for some reason the system restore fails, please repeat the process and pick a different restore point.